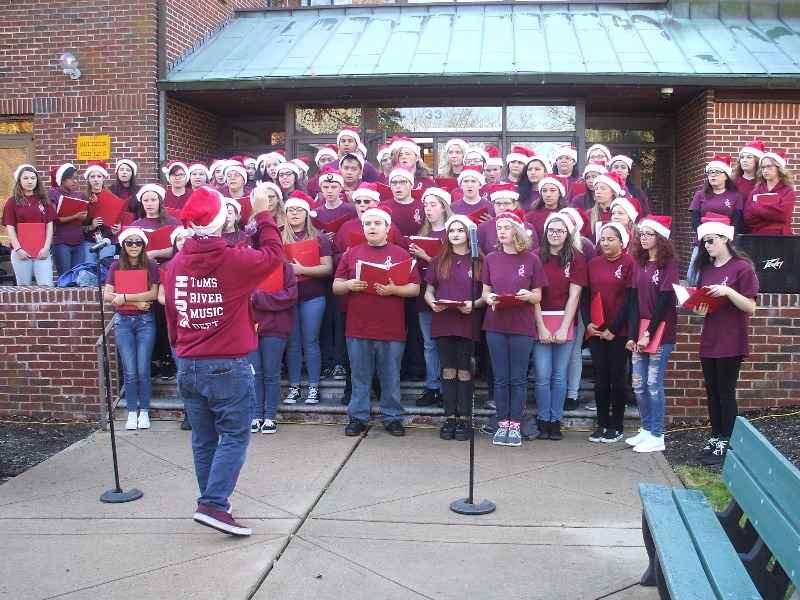 The High School South Choir participated in the Toms River Township 250th Anniversary Town Hall Christmas Tree Decorating this past Friday, Dec. 1. The event included speeches by Toms River Mayor Thomas Kelaher and Superintendent David Healy. The choir sang a medley of holiday music including “Jingle Bells,” “Frosty the Snowman,” “Carol of the Bells,” and “Rudolph the Red Nose Reindeer.” The Washington Street Elementary School Chorus followed with a performance of its own, and Washington Street students led the decorating of the tree inside Town Hall. A visit from Santa capped a fun, festive, and memorable time for all.